Born March 1788 in Dublin, Ireland, Donnelly would become the first Irish-born heavyweight champion. 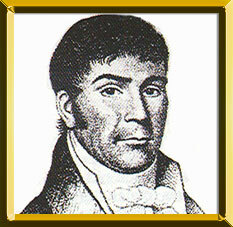 Donnelly's first recorded bout was a September 14, 1814 contest with Tom Hall. Nearly 20,000 spectators saw Donnelly defeat Hall in twenty minutes at the Curragh of Kildare for a purse of 100 sovereigns. Fifteen months later (December 13, 1815), at the same venue, he defeated English pugilist George Cooper in 11 intense rounds. Donnelly then ventured on a successful tour of England. In 1819 he drew with Jack Carter before stopping Tom Oliver over 34 rounds. It is said that over $500,000 was wagered on the contest. He returned to Ireland for a series of exhibition bouts with George Cooper and Bob Gregson. One of the most revered athletes in Ireland, Donnelly was knighted by Prince Regent and is celebrated in both song and story. When Donnelly died on February 18, 1820, at the age of 32, nearly 70,000 admirers reportedly witnessed his funeral procession through Dublin. He was buried at Bully's Acre, Kilmainham, Dublin, only to have gravediggers steal his body and sell it to a Dublin surgeon. The surgeon removed his right arm to study the muscle structure and then re-buried the remains. The famous pugilist's mummified arm has since been on display in pubs throughout Ireland.